Your happy-go-lucky Xbox Live counterpart could be returning to the forefront on your Xbox One. 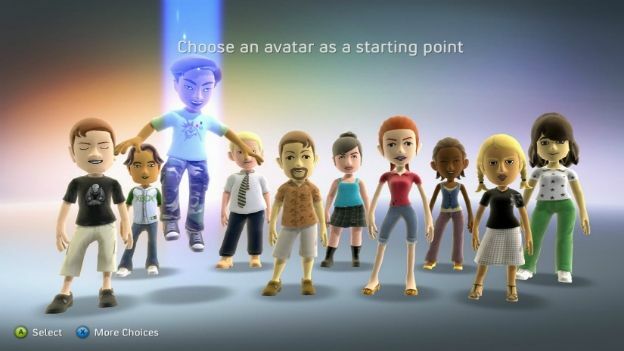 Remember back in the Xbox 360 era when you'd take pride and joy in choosing, dressing and animating your Xbox Live Avatar, your trusty online gaming representative. Ah those were the days. While the Avatars are still paraded on the front of the Xbox 360 dashboard, the Xbox One interface pushes them behind-the-scenes other than in your Gamerpics. Well, it seems Microsoft has heard our Avatar woes and plans to make some changes on the next-gen console. In an interview with Total Xbox at Gamescom, Microsoft's Director of Product Planning, Albert Penello, explained the irony behind the Avatar complaints before stating that updates are on the horizon. "You know what, it's funny to have been around for New Xbox Experience (UI redesign), and the absolute vitriol [that received], and then for [Xbox One] to come around and for people to say '"where are our avatars!'" "It's on the list of things that we weren't aware were quite as popular with people, and stuff that we're looking into doing integration with. As a matter of fact, I think we are doing some stuff with the avatars, the ability to export your avatar pics and things, so it's also on the list. We're aware." That last bit is certainly a boost of confidence with changes certainly en route, but whether the Avatars will be given the same prominence as they were on the 360 is a different story. Would you like to see Xbox Live Avatars return on the Xbox One? Let us know in the comments below.